The day after Thanksgiving, I wasn’t eager to eat too much. 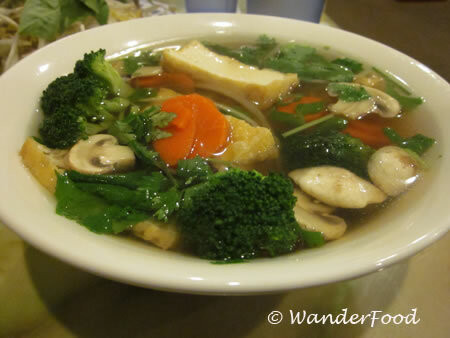 But one thing that appealed to me was a bowl of pho, the Vietnamese noodle soup that puts chicken soup to shame. I came across Pho Big Bowl after doing a bit of online research for a pho restaurant in Ballard. This one had a ton of great reviews and with good reason: Great service; delicious pho; and super reasonable prices (4 of us ate for under $30!). 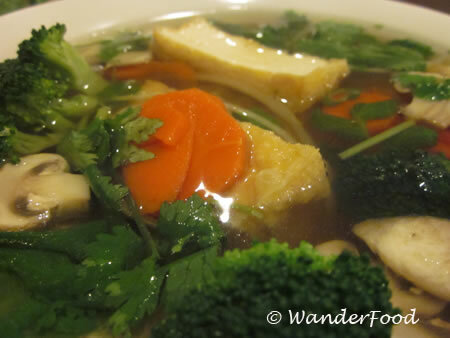 Jon and I both ordered the veggie pho, which was packed with fresh vegetables and fried tofu. Even the small bowl (for $4.95) was way too much for us to finish. 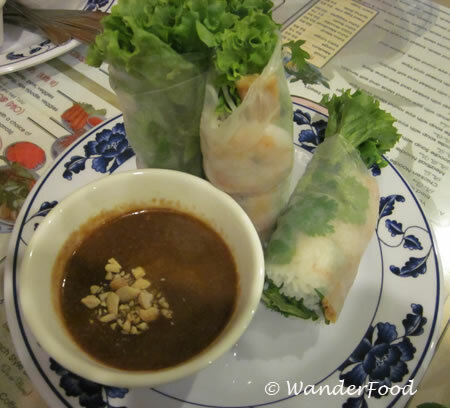 Well, we might not have been able to finish our pho because we started with these fresh spring rolls with peanut sauce! Such post-Thanksgiving gluttony!